I am so excited to announce the release of this new pattern. 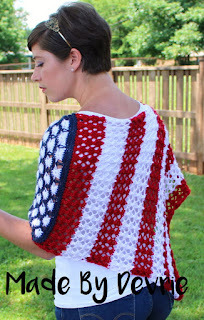 I love these lace ponchos that can be worn during the hot summer months. They are so light and make it nice to enjoy a knitted sweater all year long. 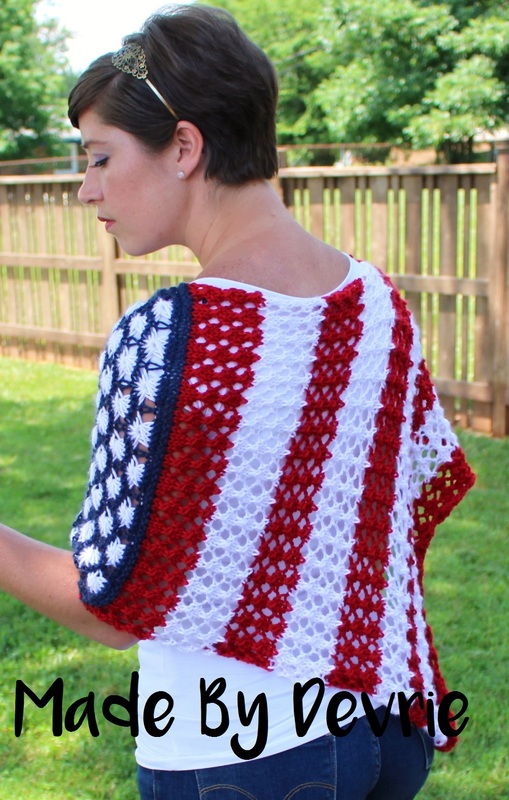 This Stars and Stripes knitted lace poncho is a great way to show some American Pride! Using Caron Simply Soft yarn, will make it light weight and soft next to your skin. you will only need about 120 yards of each color and size 10.5 knitting needles. An advance beginner should have no trouble with this pattern. It comes with row by row instructions and pictures. Of course it doesn't have to be made in red, white and blue. There are so many options when it comes to this poncho. Perfect for any summer barbecue or outing. 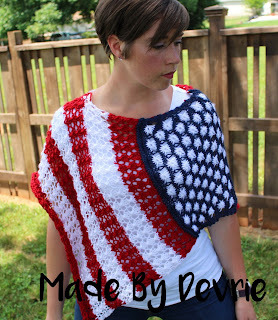 You can purchase this pattern in any one of my shops. 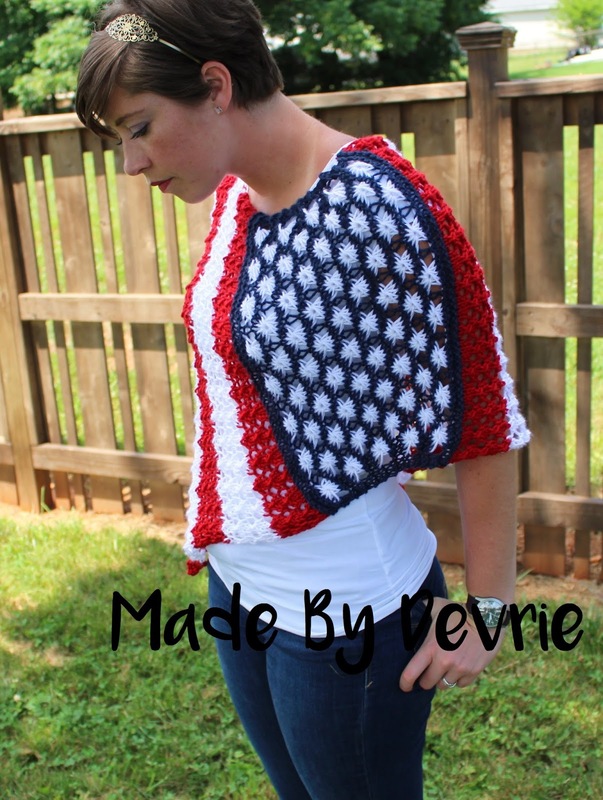 Follow me on Instagram for updates on patterns and other crafts I am working on.